One house in the Pasadena region, sewer backed up so bad that it burst a sewer line. Unfortunately, the owners of the home didn't notice the clogged line and proceeded to go on vacation to Redondo Beach. The clogged sewer line although not a big one, went undetected until the homeowners got home from their week long vacation. They found that the sewage had destroyed the lower portion of a wall on the south side of their home. 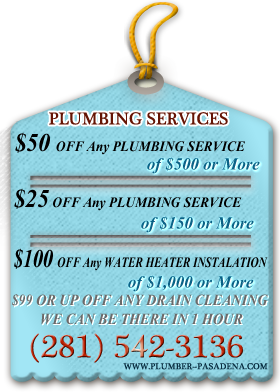 Are you experiencing backed up or clogged sewer pipes in the Pasadena area? This may be due to a number of problems but the most common is root infestation that can get into joints or cracks in the pipe and interrupt the flow. There are many temporary fixes for clogged drain pipes but the best course of action is to have the line viewed inside with a sewer camera to assess what is causing the problem. 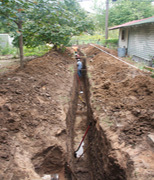 Then the pipe can be replaced or repaired as required. 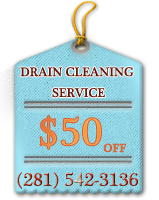 If the pipe is in good condition then high pressure hydro jetting offered by Trenchless Sewer Repair Services. can easily clear the line of roots and blockages.